As global leaders gathered this week the World Economic Forum to discuss some of the world’s most pressing issues, including inequality and poverty, many will share data to illustrate a phenomenon. However, countries that focus on creating prosperity and not just merely eradicating poverty react differently to data on poverty. Hard as it may be to believe, decades ago Singapore was very impoverished, and one of the main initiatives of the government was to educate its citizens. But when Dr. Goh Keng Swee, one of Singapore’s ministers, would see hundreds of children streaming out of school at the end of the day, instead of being happy, he was heartbroken. He and the Singaporean government understood that simply attending school wasn’t enough. What would the students do after they graduated? How would the economy create and sustain jobs for all these newly educated children? Those were the questions that Dr. Keng Swee was asking. Focusing on creating prosperity – in contrast to focusing on alleviating poverty – compelled Dr. Keng Swee and the government to ask entirely different questions, pursue different activities and emphasize different metrics. Instead of mostly focusing on the data, they focused on the deeper underlying phenomena. And so, instead of primarily building schools, Singapore prioritized investments and innovation and attracted companies that created jobs. This decision increased the need for education. As a result, Singapore has become one of the richest nations in the world with a GDP per capita of approximately $57,714. And today, not only do approximately 99% of people attend secondary school, but more than half go on to get a post-secondary school diploma. What would have happened if – as many nations do today – Singapore focused primarily on the data of how many children were educated? It might not be as successful today. The phenomena – the realities on the ground – drive the data. With trillions of dollars spent in official development assistance over the past several decades, and hundreds of billions spent annually, we believe that if more nations focused on realities underlying the data, we would not only eradicate poverty in the next couple of decades, but we set nations on a path to creating long-term economic prosperity. Over the past three decades, more than 1 billion people have lifted themselves out of extreme poverty. 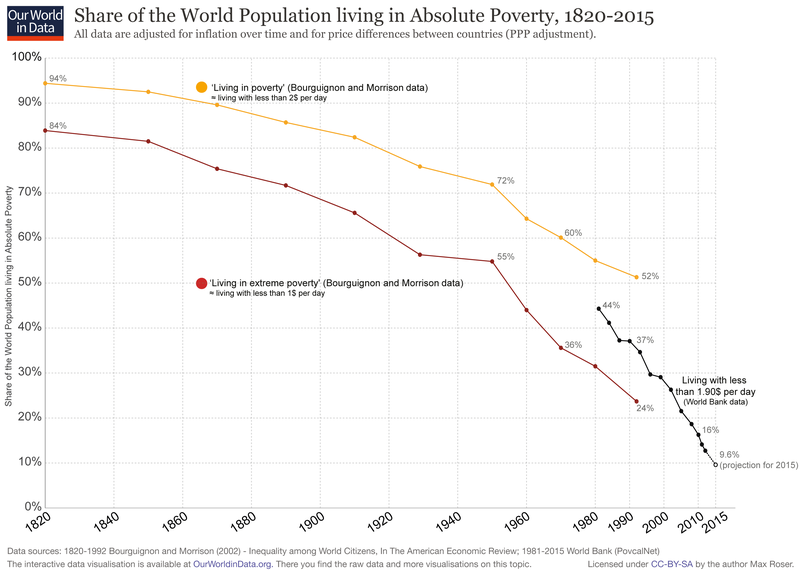 The rate of global poverty is down from 37% in 1990 to approximately 10% today. But a vast majority of the people who have escaped poverty are from China (approximately 800 million people) and to a lesser extent, India (approximately 200 million). 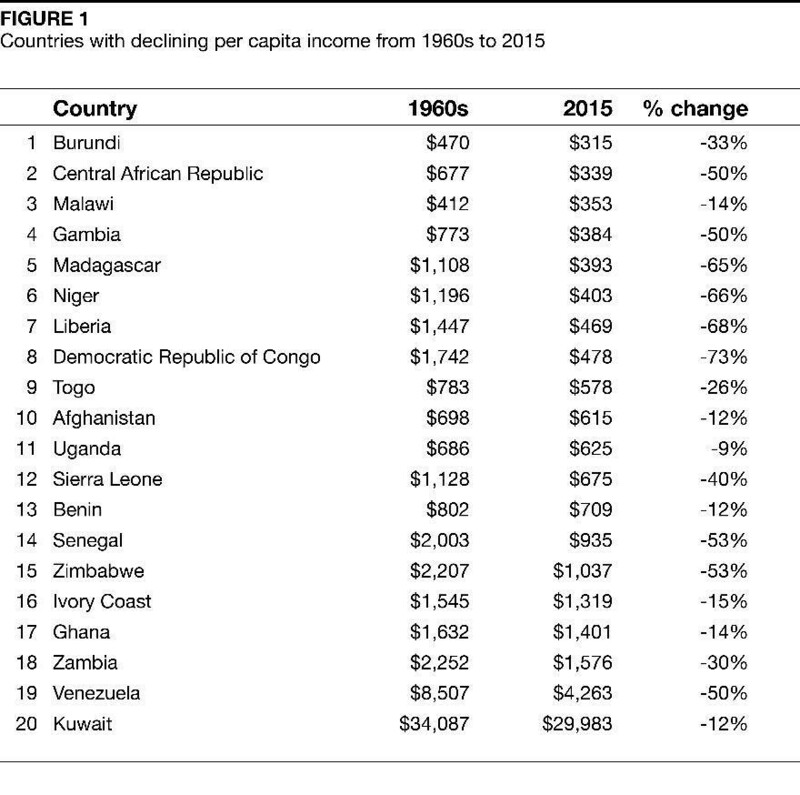 Poverty in many countries in sub-Saharan Africa is actually on the rise, with no signs of slowing down. In addition, nearly half the world’s population – 3.4 billion people – live on less than $5.50 a day and struggle to meet their basic needs. The problem is that this data can be deceptive. We are awash in data, and we do need this information. But data, metrics and statistics are simply representations of particular phenomena and are not the phenomena themselves. Consider another example. The data shows that primary and secondary school enrolment rates are now almost on par with rates in high-income countries. That’s a good thing. However, what the data doesn’t illustrate as clearly is that the quality of education couldn’t be more different. In low- and middle-income countries, for instance, more than half the students in school (over 617 million) are not achieving minimum proficiency levels, according to a United Nations study. In sub-Saharan Africa, the number is about 90%. In addition, international assessments of literacy and numeracy show that the average student in a low-income country performs worse than 95% of the students in high-income countries. What this ultimately means is that students are attending school, but are not learning. This is important because programs, laws and investments can cause the statistics to nominally improve, even when reality is going in a different direction. In most corporations, a very common measure of success for a firm is the return on net assets (RONA), which is the ratio of income divided by its assets. In essence, RONA tells us how well a company utilizes its assets. If the firm’s RONA goes up, one interpretation might be that customers are willing to pay higher prices for the company’s products. But RONA can hide the real story. Managers, for instance, can manipulate the ratio by outsourcing as many activities as possible, thereby reducing the assets on their balance sheets. This causes RONA to go up as well. When a company outsources, say, the manufacturing, testing or distribution activity, the company is able to remove assets from its balance sheet, thereby increasing its RONA. There’s nothing inherently wrong with this, but it matters because it could be masking something far more worrying. In essence, what might seem to be, on paper, the story of a company that is thriving, could be more complex. A company might be able to operate with these inflated RONA numbers for years, but eventually the chickens come home to roost. By then, it is usually too late. Fewer corporations illustrate this better than Dell Computer. Dell Computer hit its stride in the 1990s and quickly became one of the most successful and profitable computer companies in the world. But over time, in an attempt to continually improve its efficiency metrics and financial ratios such as RONA, the company outsourced many of its operations to a Taiwanese company, Asus. Profitability skyrocketed, and Dell analysts rewarded the company accordingly. The data looked good, but the phenomena behind the data – the innovative prowess of the company – didn’t. In 2005, after Dell had outsourced enough activities to Asus, effectively putting the company into business, Asus announced the creation of its own brand of computers. And the rest, as they say, became history. All along, the numbers had looked good to Dell. But what the numbers had not shown was the impact these decisions would have on Dell’s future. In a similar way, the metrics of poverty might improve, but that doesn’t mean that the phenomena of poverty are getting better. It might even be getting worse. But it need not be this way. Countries can reliably and sustainably overcome poverty and, indeed many have; however, they did not do it mainly by trying to eradicate poverty. They did it by focusing on creating prosperity. On the surface, the difference between the two strategies may seem like mere semantics, but that couldn’t be farther from the truth. • Clayton M Christensen, Efosa Ojomo and Karen Dillon are the co-authors of The Prosperity Paradox: How Innovation Can Lift Nations Out of Poverty (Harper Collins, January 15, 2019). This article was originally published in the WEForum Agenda newsletter. The views expressed in this article are those of the author alone and not the World Economic Forum.